A beautiful piece. If I hadn't already been weeping about the same subject (windfarms first, in my list) I would have been moved to tears. 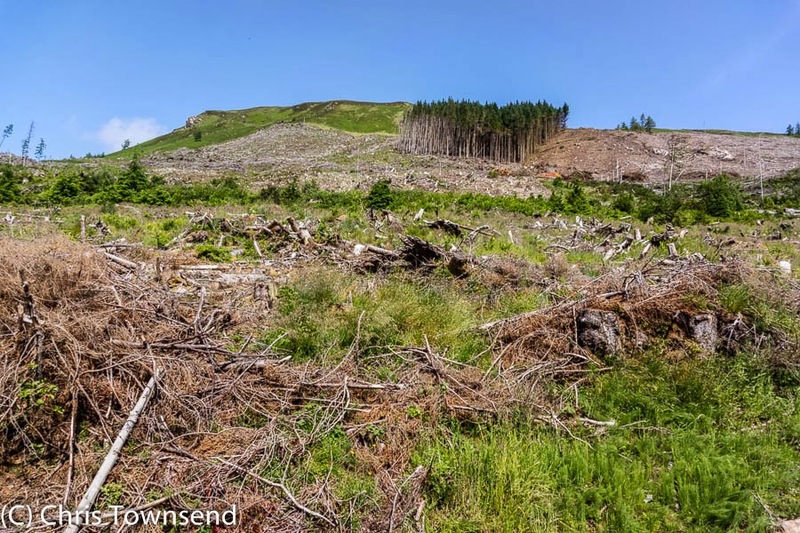 Firstly, the type of industrial developments you have shown in these graphic images and secondly, over regulation from well meaning conservationists - backcountry campsites, permits, managed trails and regulation. I have just written to TGO about this very subject - I hope they look at my letter inspired by the proposed "rewilding" of Ireland's Nephin Beg range covered in the last issue. Clearly, the biggest threat to the integrity of wild land is the first category. Over regulation is a much more subjective issue. It seems to be accepted in many North American Wilderness Areas and National Parks. Dave, over-regulation is not a problem in Scotland. The access legislation gives a right to roam and a right to wild camp. There are no proposals for backcountry campsites or permits. The situation in North America, where I have hiked over 10,000 miles, is very different. In most areas permits aren't required and backcountry campsites don't exist (except for ones that have grown up due to regular use). In very popular areas permits are required and backcountry campsites must be used. This is to meet the requirements of the US Wilderness Act and limit numbers in any one area at any one time. It's also sometimes done to provide facilities to protect food from bears, as in Glacier National Park where there are grizzly bears. I agree the restrictions are limiting and can be off-putting but there are many areas where there are none. Some of the images shown here are nothing less than environmental vandalism - on a grand scale. Powers to regulate hill tracks are woefully inadequate and attempts by landowners to 'keep' tracks that scar the line of the Beauly - Denny link and have been engineered to industrial strength standards must be resisted. 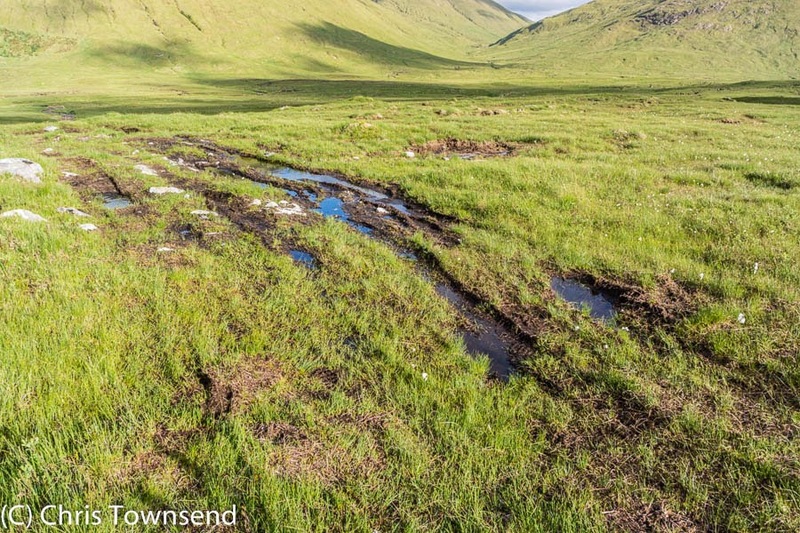 There were clear environmental reasons to insist on restoration initially - the reasons are just as relevant now. Back in August I did a 2-day trip around Ben Avon. The tracks around Big Garvoun are being enlarged and added to almost every year. An absolute disgrace. 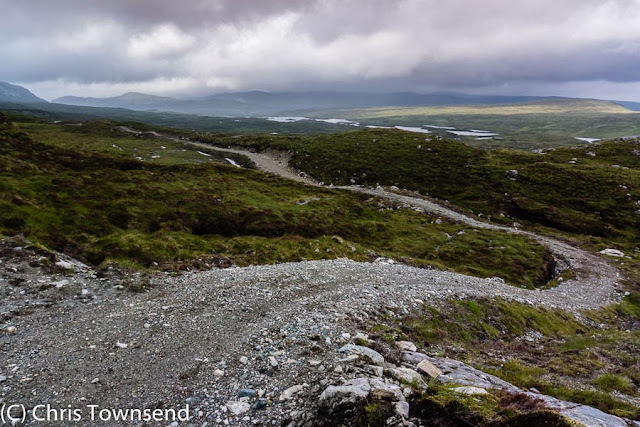 After spending night by the Avon tors, I came back along the track from Inchrory to Loch Builg. For the most part, that section of the track is still all right, old drovers roads style. Then, as I went past the loch and turned into Glen Gairg to follow the river and then up the old track past Culardoch. Well, the size of the track was again a disgrace. You could run two lorries side by side there. I just couldn't believe it. And it's not clear to me why they had widened it as much as that. When the track starts climbing the hill it gets a little narrower but still wider than it needs to be. I mean, a land rover ain't that big. Why make them so wide? 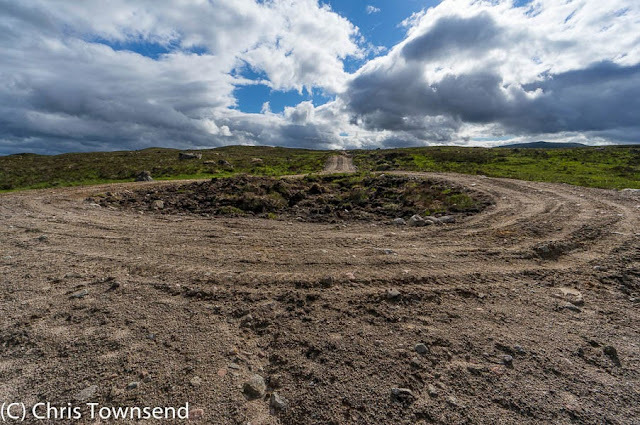 Sadly, as you probably know, the track goes all the way past Culardoch and down to the back of Invercauld. It disfigures one of the finest stands of Scots pines. It's a national shame, if you ask me. Another bee under my bonnet is the trail bikes being allowed to use the tracks past Ben Alder and the Mamores for the 6-day trial or whatever it's called. 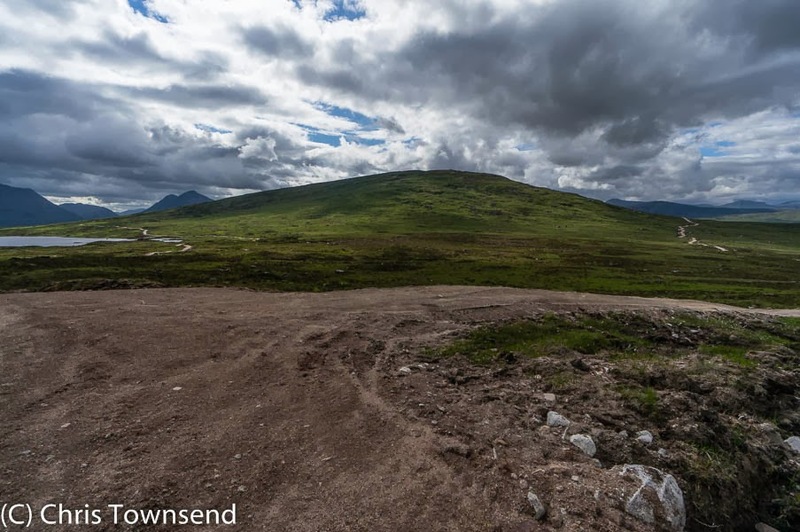 I hear that last year they allowed trail bikes up Meall Buidhe in Glen Lyon. The list just goes on and on.